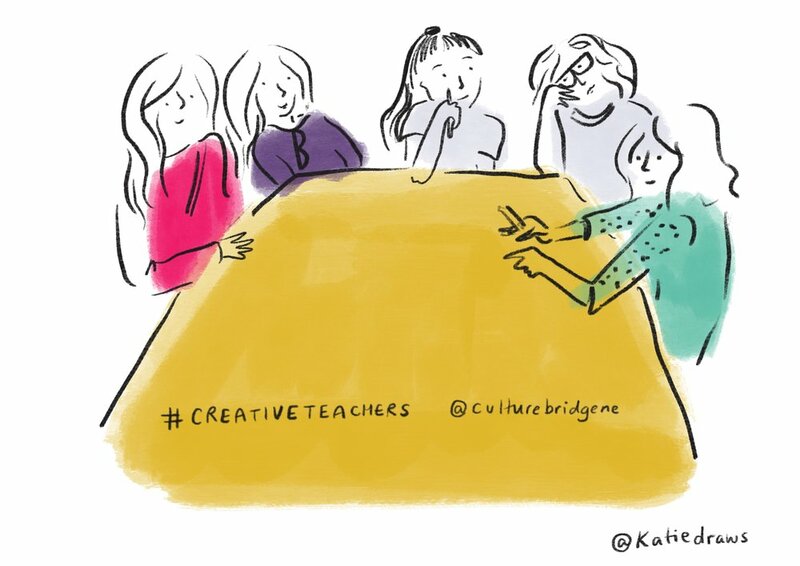 On Friday the 22nd of March, the BIG Creative Teacher’s Event took place. 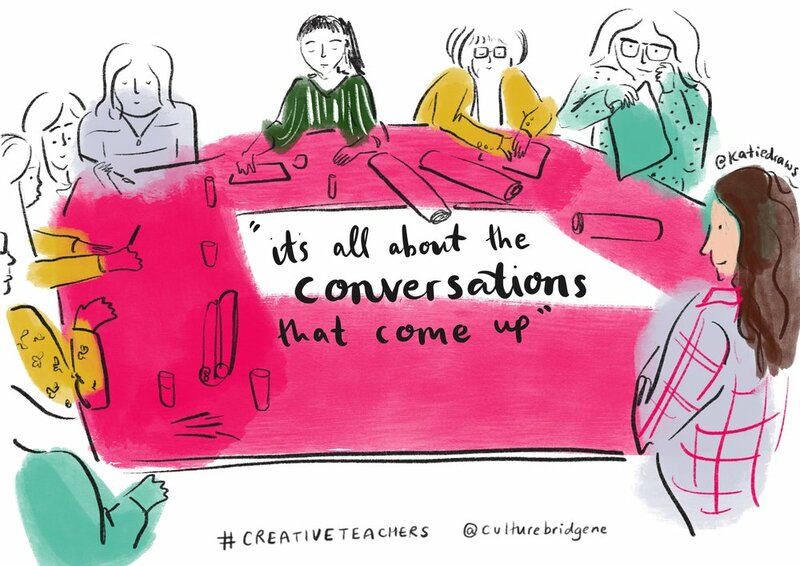 “The BIG Creative Teachers’ Event will launch a whole host of exciting future cultural opportunities for schools in Redcar & Cleveland and Middlesbrough. Workshop sessions to choose from include: devising physical theatre with Frantic Assembly, how to teach arts and crafts on a budget, Philosophy for Children, music, filmmaking & animation to support literacy, teaching creative-writing, drama, using the arts as therapy and much more! I was thrilled to be there, live illustrating with my iPad. Using the WONDERS OF TECHNOLOGY (and some very helpful techies at Tuned In, Redcar), my illustrations streamed live to a large screen at the entrance of the venue. 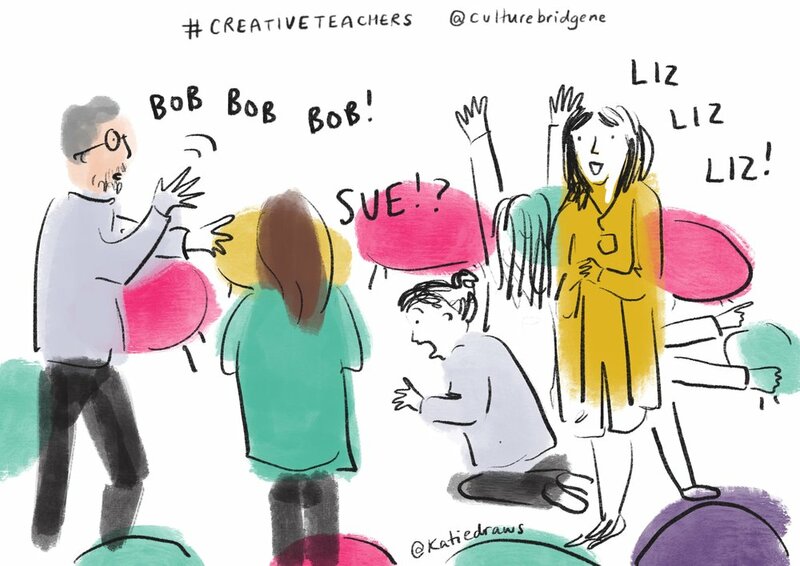 This live streaming meant that attendees were able to watch the illustrations come to life, while I walked around dropping in on different workshops. 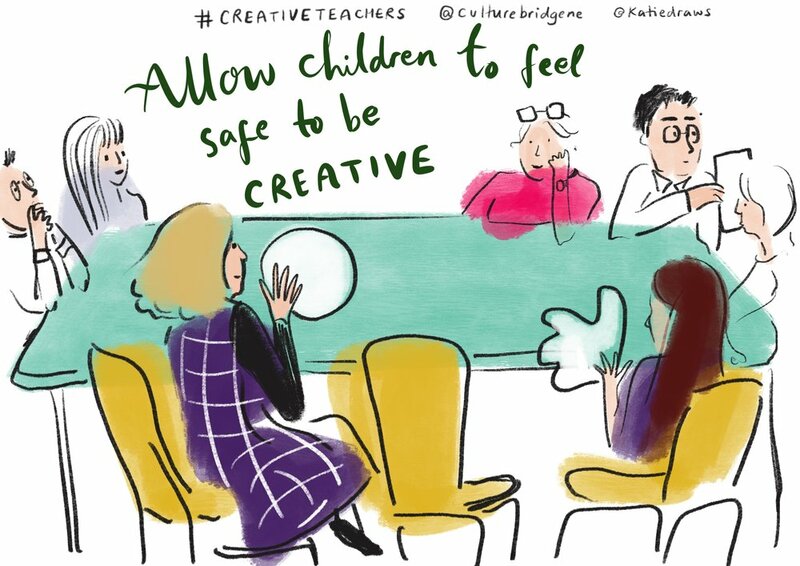 I had a ball AND got to meet lots of wonderful people who are making schools creative, fun and inspiring for the next generation. Shout out to Culture Bridge North East and Angela Rose for all of their organisation, hard work and funding. Live illustration and graphic recording is charged at an hourly rate. Learn more, or get in touch for a quote.